“CHALLENGER” Model C-700 is constructed with an all synthetic woven textile reinforcement and is encased in a blend of high tensile PVC/Nitrile rubber which forms a unified lining and cover. It has an excellent heat resistance with the cover providing good protection against accidental contact with hot embers. The construction and blending of PVC/Nitrile rubber give good resistance against contact with wide range of chemical products. It does not need drying and is unaffected by mildew and is rot-proof and waterproof. The strong construction, blend of PVC/Nitrile rubber and protective ribbing protect it from abrasion damage. It has excellent resistance against ozone and atmospheric weathering and gives good performance at both low and high temperature. 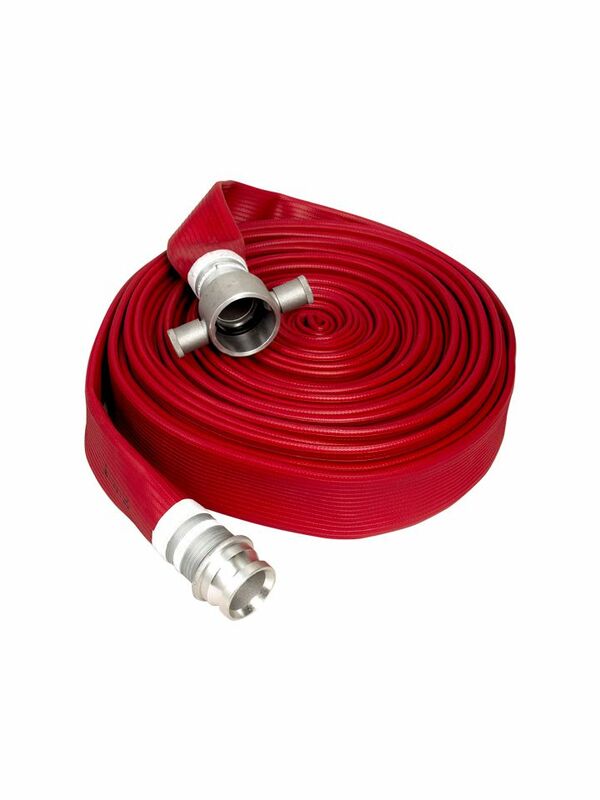 “Challenger” PVC/Nitrile rubber covered layflat fire hose is manufactured to BS6391: 2009 Type 3. Category: Fire Hoses. Tags: Challenger, Hose.